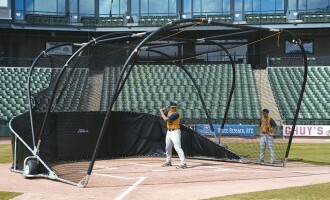 Help protect your batting cage net against excessive wear. 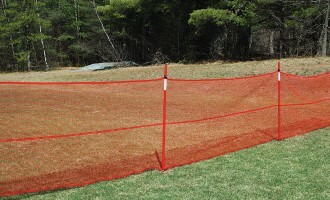 Choose from available vinyl or mesh net protectors. NOTE: please allow up to 15 days for custom colors. Grommets in each corner with 4 poly ropes. Choose from printed vinyl with catcher and strike zone, vinyl with strike zone, or plain vinyl. Heavy-duty 22 oz vinyl fabric. 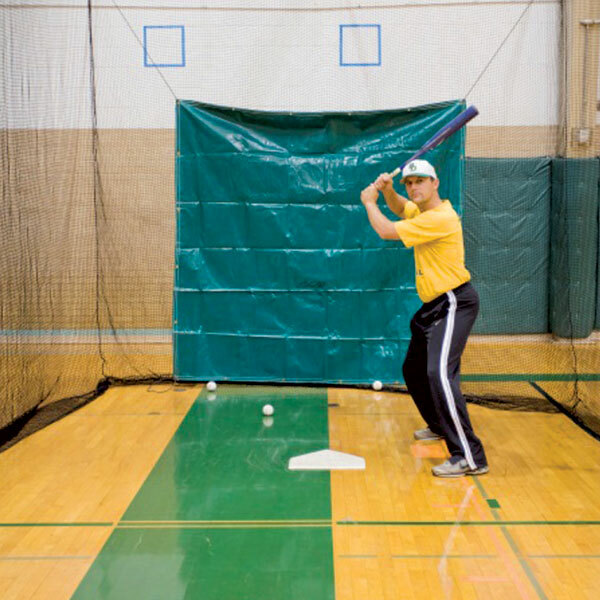 Vinyl with strike zone and plain vinyl is available in Maple Green and custom colors. 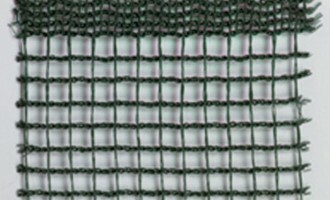 A heavy #36 knotted nylon net (8′ x 8′) with rope edge — great for outdoor applications to allow more wind to pass through than solid vinyl. 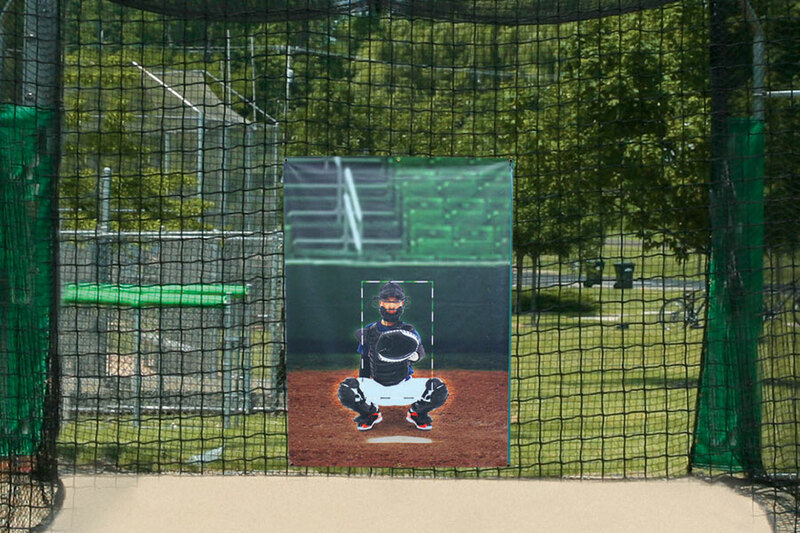 The 1″ mesh still provides a darkened backdrop behind batters. 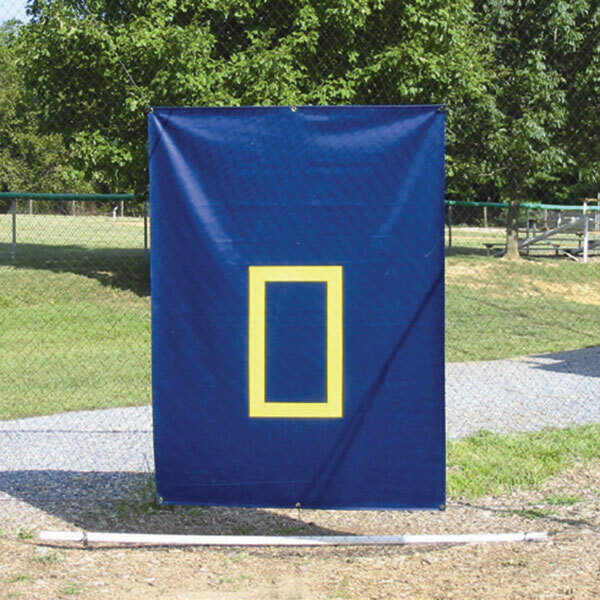 Includes adjustable attachment ropes and yellow strike zone rope.